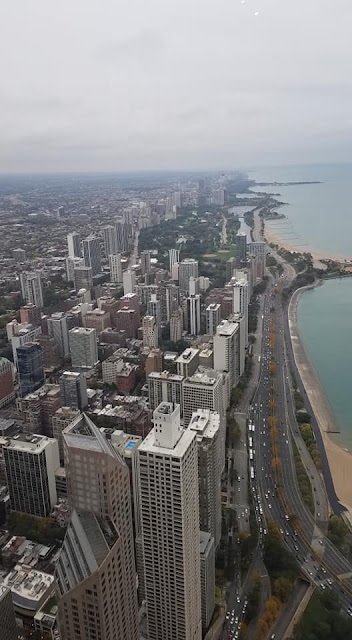 We spent close to a day and a half in Chicago before heading to South Bend for the Notre Dame / University of Pittsburgh game. So with not as much time and wanting to see a lot what do you do? If you are us, you want to experience and enjoy as much as you can. 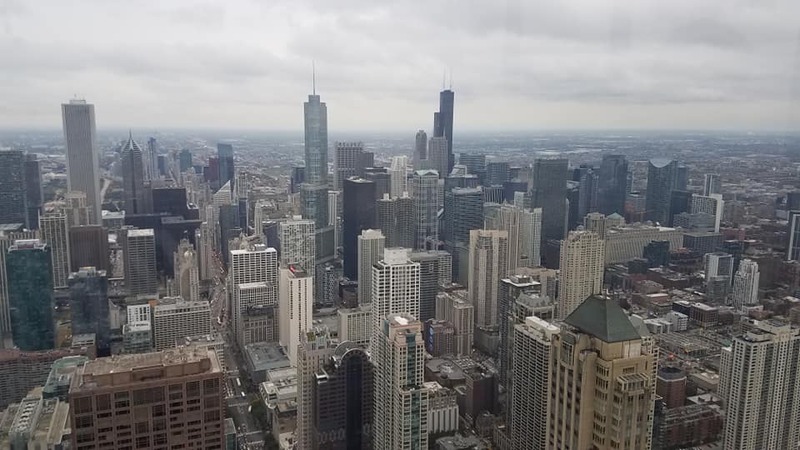 Well, one of the items that helped us was the Chicago City Pass - it allowed us to visit a number of attractions and at a pretty good price. We also scheduled two unique tours, and I'll get into those later. Though it was a dreary day, the Chicago Skyline is impressive. For most of the day on Friday, we visited the attractions at the Museum District Campus. Chicago's Museum Campus is home to some of the city's most well known attractions. Adler Planetarium, Shedd Aquarium, and the Field Museum of Natural History all are found here. In addition, Soldier Field calls the Museum Campus home. 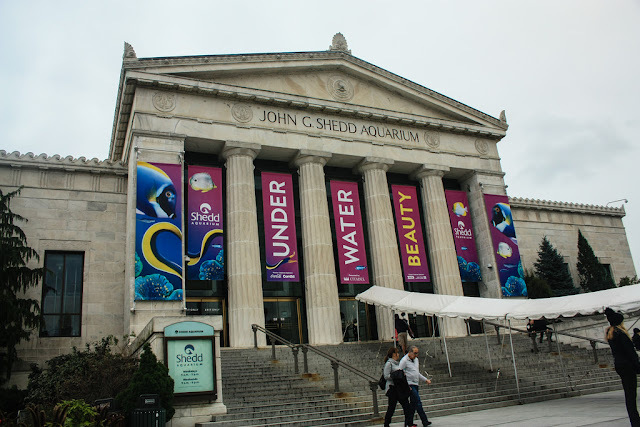 We first visited the Shedd Aquarium. The aquarium is one of the largest in the world and is home to nearly 32,000 animals. Opened in 1930 as a gift from John Graves Shedd, the building is also well known for its Greek style architecture. Inside, the aquarium is home to numerous different exhibits as well as a number of interactive exhibits that allow you to get up close and personal with dolphins, beluga whales, and more. After our time at Shedd Aquarium, we headed along the Lakefront Trail to Navy Pier for our next activity. The walk along the Lakefront Trail affords great views of the Chicago skyline and Lake Michigan. Although it was rather cold and damp, we still hustled over to the Navy Pier for our Signature Food Tour with Chicago Food Planet. 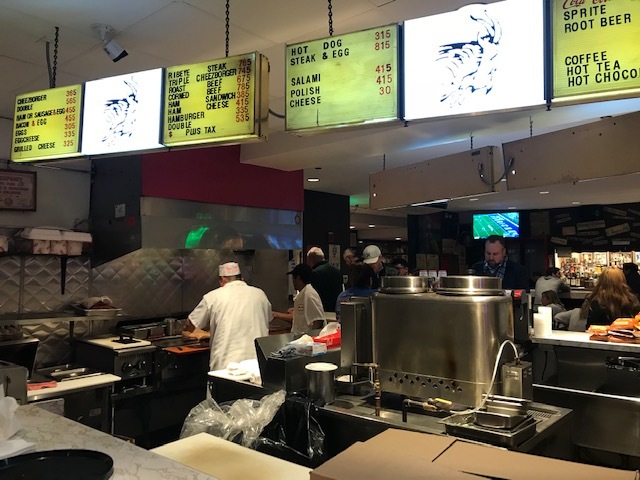 For two hours, we tasted some of Chicago's signature tastes - A Chicago-style Hot Dog, Deep Dish Pizza at Giordano's, Garret Popcorn, Cheese Curds and local beer, and cupcakes - and learned about the history of the Navy Pier. Maggie and I lucked out as we were the only two taking in this tour and had an excellent time with our tour guide. Our guide told us the story of the Chicago-style hotdog. 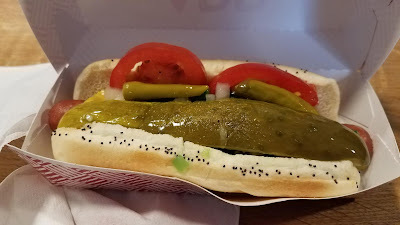 The hot dog contains: the hot dog, yellow mustard, chopped white onions, bright green sweet pickle relish, a dill pickle spear, tomato slices or wedges, pickled sport peppers and a dash of celery salt. Hot Dogs were first served at Chicago's World's Fair / Columbian Exposition in 1893. Our guide told us that a number of different vendors were competing with each other selling hot dogs and would continue to add toppings. More often, many trace the creation of the Chicago-style dog to the Great Depression and the "Depression Sandwich" served at the Fluky's Stand on Maxwell Street. 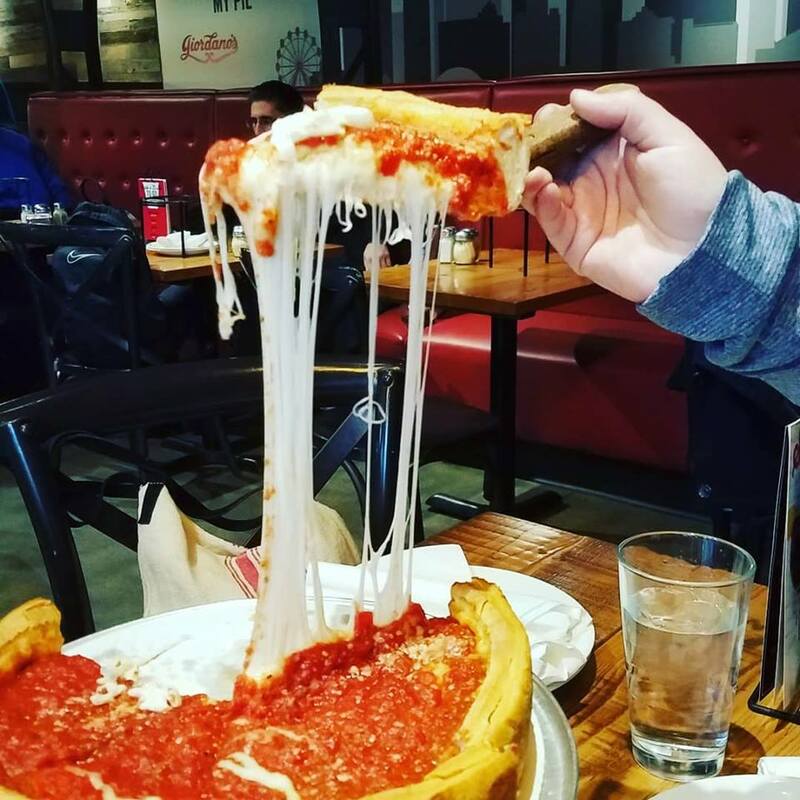 Either way, it is a unique Chicago treat that like deep dish pizza is world famous. 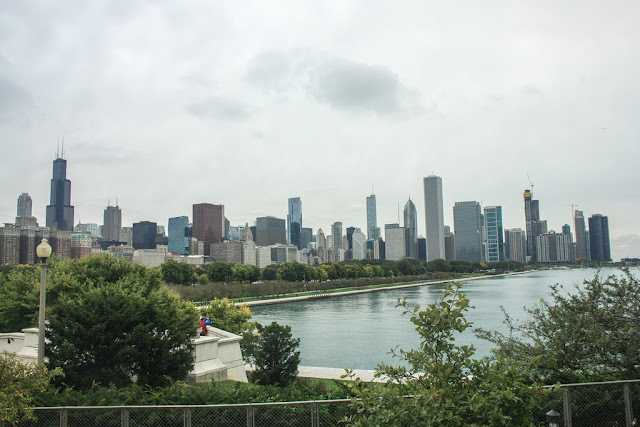 Following our tour, we took an Uber back to the Museum Campus to visit Adler Planetarium. Adler Planetarium, which also opened in 1930, is the oldest planetarium in the United States. 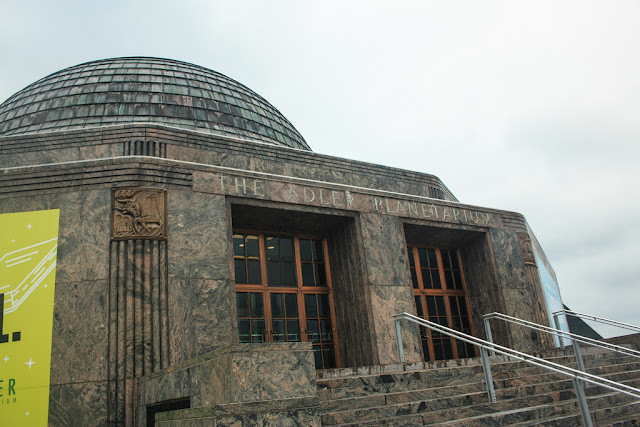 The planetarium was founded by Max Adler who had earned his fortune within the Sears & Roebuck Company. Adler Planetarium is home to three theaters along with numerous exhibits and events. With it getting close to 5:00, we headed to our hotel - the Claridge House which is located in the city's Gold Coast Historic District. From the hotel, it was a quick walk to the 360 Observatory Deck at the John Hancock Building. Located on the 94th Floor of the skyscraper - the views are amazing. Even on a cloudy, overcast, and drizzly afternoon! The observation deck offers views in all directions and is complete with a bar - possibly there to help you conquer your fear of heights. A new item, that we didn't have time to try (or at least I didn't), is the Tilt attraction. 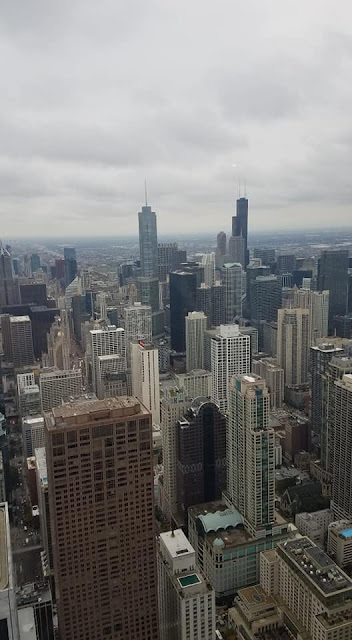 For an additional cost, $7.20, you can line yourself against windows that tilt down towards the Magnificent Mile below. Following our trip to 360 Chicago, we hustled quickly over the Chicago River to begin our next activity. Through Chicago Detours, we took a walking Historic Chicago Bar Tour. 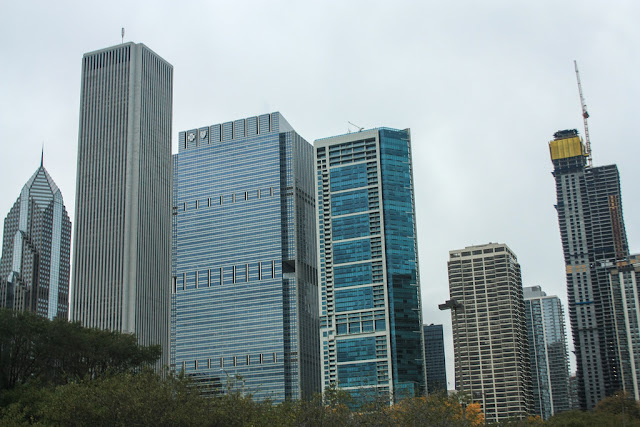 This roughly two and a half hour tour features a number of well-known Chicago buildings and landmarks. It mixes appetizers, beer and wine with stories on Chicago's history, architecture, and colorful characters. 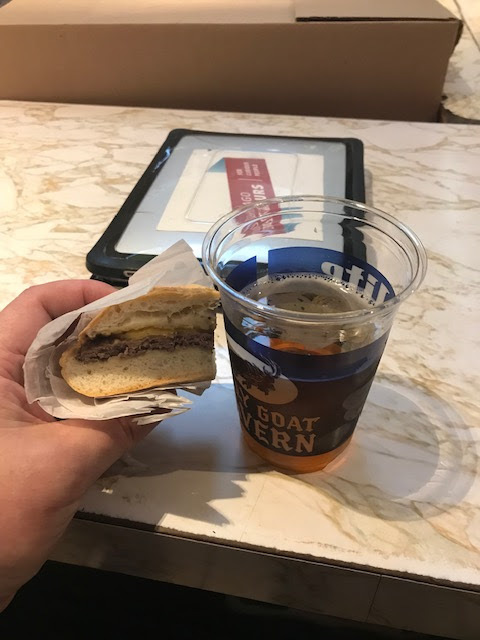 The highlight of the tour was a stop at the famous Billy Goat Tavern. Located on the lower level of Michigan Avenue, the Billy Goat Tavern is a Chicago landmark. It is famous for two items. First, the famed Billy Goat Curse that was known to plaque the Chicago Cubs for decades. During the 1945 World Series with the Cubs leading the Detroit Tigers two games to one, then Tavern-owner, William Sianis, attempted to enter Wrigley Field with his goat for Game Four. Attendants at Wrigley Field would not allow the goat in with Sianis leading to his cursing of the team. The Cubs would not win the World Series until 2016. The SNL Skit is memorialized outside the entrance to the tavern. 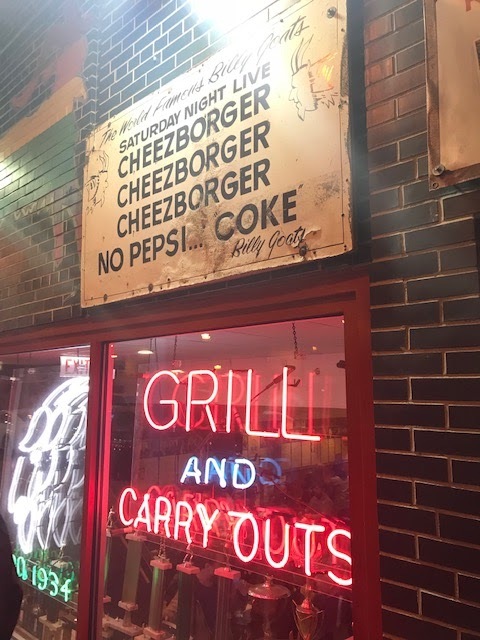 The second item that has made the Billy Goat Tavern famous is the 1978 Saturday Night Live Olympia Cafe (Cheezborger, Cheezborger) skit. The skit where John Belushi, Dan Akroyd, and Billy Murray famously say, "Cheezborger, Cheezeborger, Cheezeborger, No Pepsi...Coke." is based off of the Billy Goat. Belushi and Murray were patrons of the tavern during their Second City days as was Don Novello, who wrote the skit. We concluded our tour at Michael Jordan's Steakhouse for appetizers and drinks before our group headed off to our destinations that evening. My wife and I headed back to our hotel for dinner. With one whirlwind day touring the city behind us. We still had a few more items to checkout the next day! And the weather was a lot better! All photos taken by post author, October 12, 2018. For the full flickr set head here.